Raffles Creamery is yet another ice cream outlet that offers the create your own ice cream plus toppings option. The other two places that I know of are Ice Cream Chefs and Cold Rock Ice Creamery at East Coast Road and Holland Village respectively. Located at the courtyard of Raffles Hotel just behind Seah Street Deli, Raffles Creamery is the latest "culinary" offering from the grand old dame. 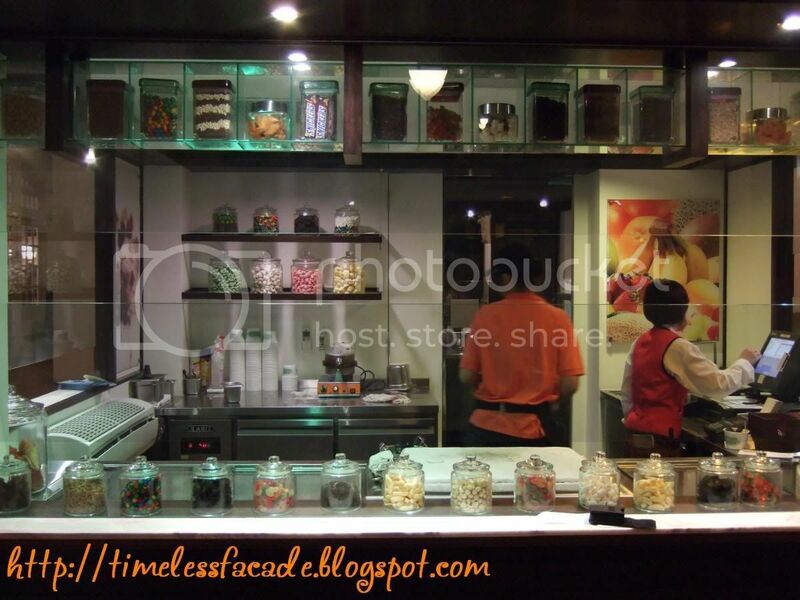 A brightly lighted counter adorned with glass jars filled with various condiments greet you in the middle of the courtyard in accompaniment to 2 smiling waitresses who seem to get really flustered with the sudden influx of customers. I had the Rocky Road ice cream with toppings of Banana Jelly and Oreos. To my surprise, they didn't offer to mix it up for me nor did they ask me if I wanted it mixed up. 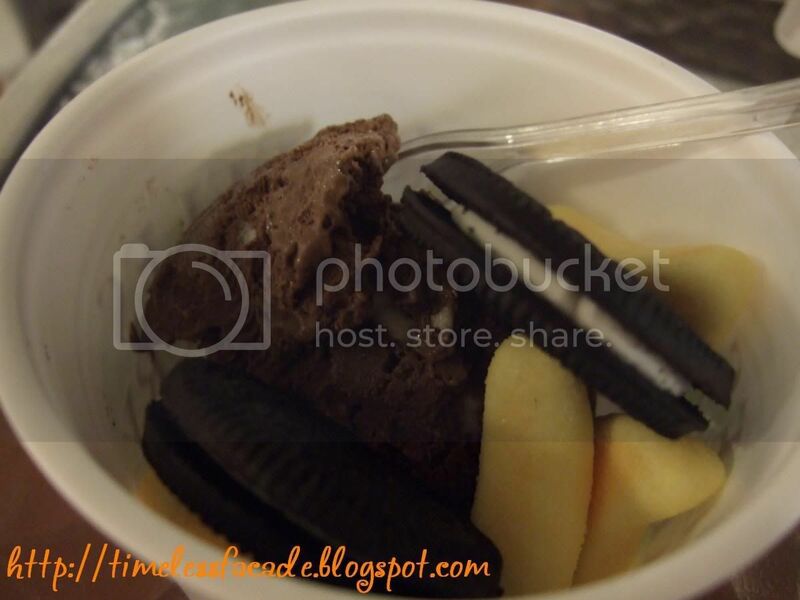 It was simply take a scoop of ice cream, put some banana jelly and oreos by the side and there you go. Honestly, I was shocked. So much for offering a mix in option. That aside, the ice cream was really creamy and smooth but thats not exactly a compliment as the taste of milk was quite overbearing. And the so called "imported from Germany" banana jelly tasted like chewy candy with a banana taste. Now how special is that? I paid almost $6 for a scoop of ice cream with 2 seperate condiments. It isn't expensive but without the novelty factor, I could have gotten better ice cream from Ben & Jerry's for the same price. Last I checked, no revisits are in my schedule. I would rather buy a tub of Ben & Jerry's, some Oreo cookies, mix them up and enjoy it at home. 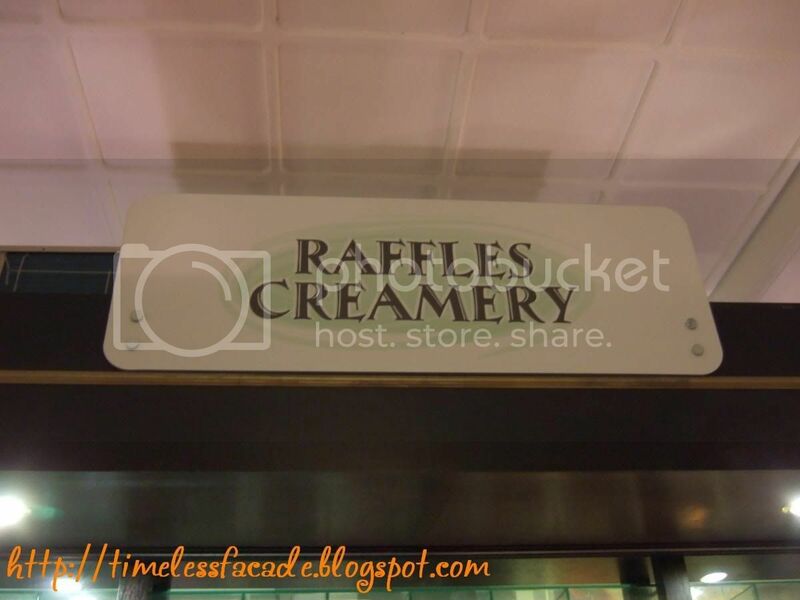 BTW, is Raffles Creamery a new place? I would too, except that I am lazy and hey I thought there would be the novelty of them mixing it for me on the cold marble top. I think it has been around for a few months, probably about 3 months or so I guess. Theres no ambience to speak of. Its just a courtyard with no aircon lol. But yeah its expensive and not fantastic. Totally agree with you... Don't you think the ice-cream look "stale" such that they look like they've been in those chillers for a week? The ice-cream's overpriced! I did not even bother to buy a scoop even though I tasted several flavours; the waitresses got increasingly flustered when I tried to enquire more about their flavours! The attitude's really annoying. hi! i was reading your archives and i saw this post. have to say i totally agree with you about this horrific place! 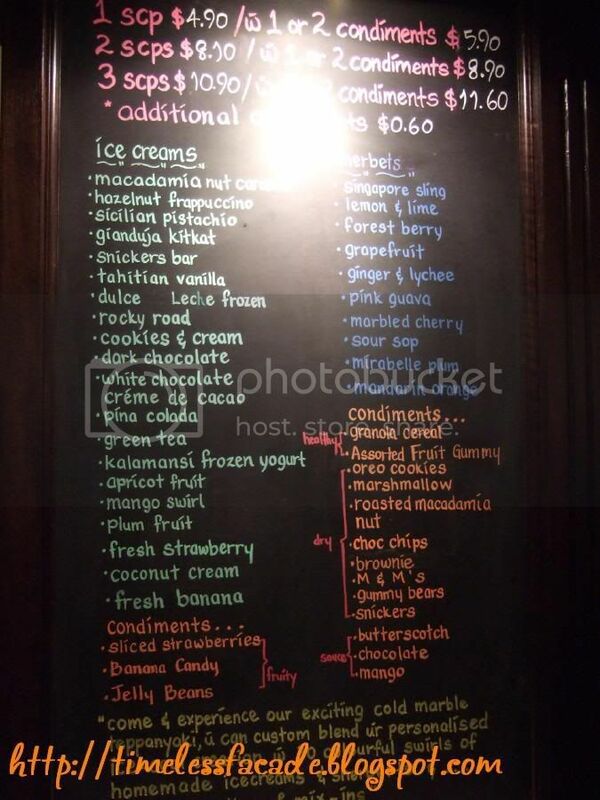 i was there recently and all my friends and i got were just ice cream + toppings. totally ridiculous! 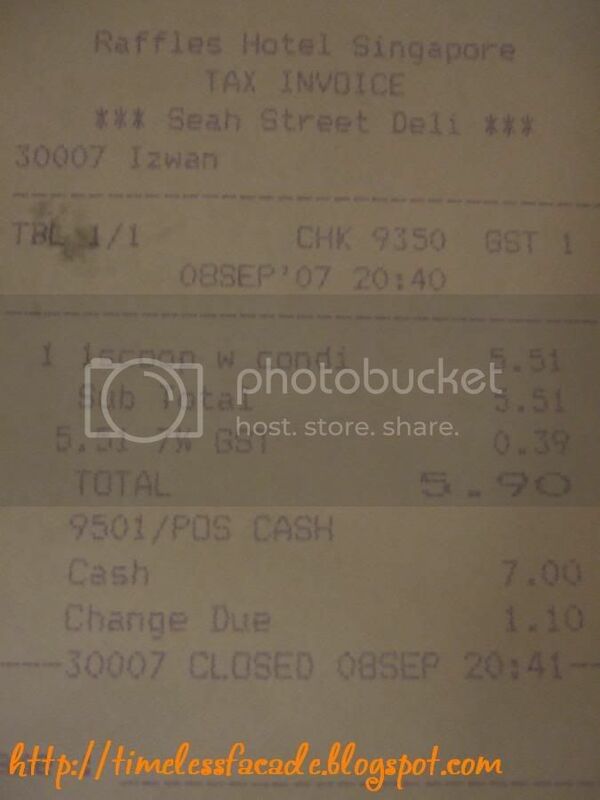 the man at the store didn even bother telling us that the cold stone was not working before we paid! absolute rip off!